The Love & Money Wound™ is the fear that you can’t have both money and love, freely and in abundance. This is by far the deepest of all the Wounds; and as such, it’s often extremely difficult to recognize in yourself. But as I describe below, we ALL suffer from it, to some extent or another. 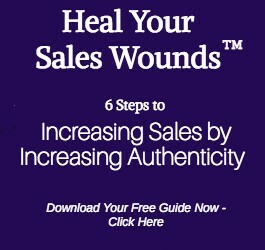 Below you’ll find several case studies of The Love & Money Wound™, to help you understand how it plays out in a person’s life. Every human being who lives in the modern world suffers from the Love & Money Wound™ to a certain extent. The reason for this is that when every human being is a baby, he or she needs both material support (food, clothing, shelter) and emotional support (love, kindness, encouragement) to survive. And modern culture dictates that it’s the baby’s parents who must provide both. And yet parents are flawed. They’re not always able to provide the material support or the emotional support that the baby craves and requires. Sometimes there are two parents in the home who are good, loving people – and yet they still inevitably make mistakes that leave the baby (or the growing child) feeling unsupported. Other times one or both parents is gone, so they don’t provide any love or financial support at all. Still other times, one or both parents is around, but instead of providing emotional support & love, they actually inflict abuse of some kind. So the baby (and growing child) ends up feeling a lack. Either there’s not enough love, not enough material support, or both. While there might be other people in the child’s life who step in to fill the gaps left by a missing or abusive parent, no amount of love and material support from a grandma, uncle, sibling, teacher or neighbor can replace what the child needed from his or her birth parents. And, as I asserted above, there’s no such thing as a perfect parent. So even if you had a “good” childhood, it’s impossible for your two parents to give you everything you needed, both emotionally and materially. That’s why the Love & Money Wound™ is universal, even though it can be extremely difficult to recognize in oneself. I’ve just described how we all suffer from a Love & Money Wound™, because we all had childhoods that were flawed to some degree. But how does this play out in our adult lives, specifically our businesses? I suggested above that babies (and growing children) require love in order to survive. Well how is that possible, when – as I also outlined above – many babies don’t receive sufficient love? How come they don’t just die? The answer is that the human psyche is extraordinarily resilient. Human beings possess the ability to create love – or at least a feeling of being loved – no matter what their circumstances. If they’re abused, they develop a belief that to be loved requires being abused. If you were taught to be abused, you seek out people who will abuse you. The self-limiting nature of this belief is hopefully obvious. So. How does this relate to your business, or your ability to sell more of your products & services and earn more money? 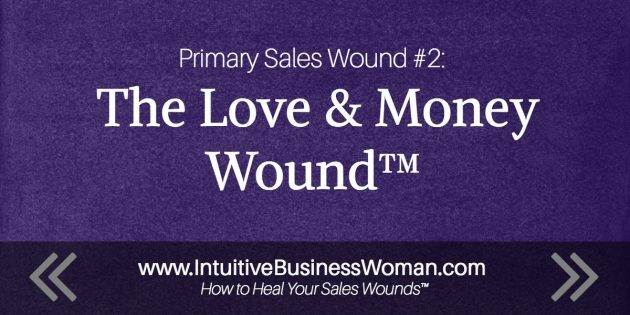 When a Love & Money Wound™ is your primary Sales Wound™, it means that the reason you aren’t succeeding in your business, making more sales or earning more money is because you’re afraid of how your relationship would change if you did. This is because if you’re in a relationship, that relationship exists within your definition of what love is to you. For example, let’s imagine that you’re involved in a relationship that is the most common version of this Wound, the Rich Housewife Archetype. If this is you, you’re a woman whose man takes care of you financially (or your woman, in the event you’re in a lesbian relationship of this dynamic). In exchange, he has certain expectations of you – how you should behave, the kind of support you should provide to him, the ways in which you should feel dependent on him and grateful to him, etc. When you got into this relationship, this dynamic felt like love to you, and it’s why you chose it. But it’s not a dynamic that co-exists peacefully with you being a successful business owner, for all kinds of reasons. So it would shake your relationship to its core if you were to become successful in your business. If you don’t want to do that, or aren’t ready to, then you will continue to find ways for your business to be unsuccessful – so that you can continue to preserve your relationship. This dynamic isn’t restricted to the traditional scenario in which the man is the one with all the money. 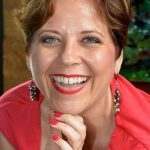 In this case study, When a Woman Wears The Pants: Lisa’s Story, you’ll read about how the Love & Money Wound™ flared up in a marriage in which the wife was the primary breadwinner. As I said at the very beginning of this article, there is no easy fix to the Love & Money Wound™. Most people won’t even acknowledge that they’re suffering from it, because to do so would jeopardize their relationship. Men don’t like women with money – it intimidates them! I won’t have time for a relationship if I become too focused on my business or career. That said, if your Love & Money Wound™ is in the past – as it is for both Heidi and Lisa, the subjects of the two case studies above – you can use an understanding of the pattern to inform your decisions about both business and love going forward. 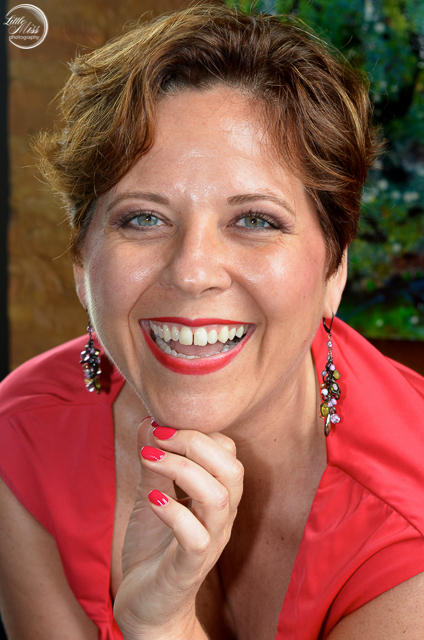 For help accessing your self-limiting beliefs, aka your Sales Wounds™, and to get started healing them, consider hiring me for private coaching. I offer packages starting as low as $5,000, or up to $25,000.